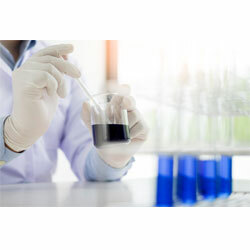 Silicone oil or PU dilution with water are generally added to use as a post treatment surface agent of non-chlorinated powder-free gloves, so the surface with silicone oil or PU coating is smooth and not sticky. However silicone oil causes glossy oil surfaces on the gloves after drying, this can easily cause it to stick to the skin while wearing and feel uncomfortable, further having silicone oil exudation after a period of time and difficult to use. Otherwise PU coating doesn’t make glossy oil surfaces but makes it rougher than silicone oil treatment.